It seems almost useless to say, but the Eiffel Tower is indeed a fantastic scientific support. Indeed, where elsewhere than in Paris stands a metal pylon more than 300m high, with such a mass? Such an object is necessarily a boon for scientists who, since its construction, took advantage of its size to indulge in all the experiments they wished to do without having the tools for it. Experiences must be distinguished from applications. Experiments have served only to advance science, while applications have used the Eiffel Tower as a support to provide a particular utility. This is probably the very first experience that was done on the tower. Since its construction, a meteorological laboratory has been installed at its summit, at the instigation of Mr. Mascart, director of the Central Meteorological Office. At the time, at the end of the nineteenth century, this science was at its very first tests, so having a permanent laboratory at 300m altitude was a boon. In fact, it was only an observation station, but at the time the term laboratory was used. It consisted of a metal plate of 1m 60 on which were placed different measuring devices, connected to recorders. The Tower is an impressive meteorological observatory that is characterized not only by its altitude, which is only 334m, but above all because it makes it possible to make observations free of the influence of the ground, which is not the case usually, even with poles or positioning on buildings. Already at this low height of 300 m, the phenomena of wind and temperature are absolutely different from those which occur at ground level, its own temperature and its relief communicate in effect to the neighboring layers of the variations to be taken into account. At this height of 300 m, the amplitude of variations in temperature or in hygrometric state is much less than near the ground; the winds are more regular and stronger, and it is only in the high mountain stations that we find results similar to those furnished by the Tower. Also, from the beginning of the construction, in 1889, it was installed, by the care and under the direction of Mr. E. Mascart, member of the Institute and director of the Central Meteorological Office of France, an extremely meteorological service important. the measuring instruments are placed on the small platform of 1.60 m in diameter which ends the tower at 300 m from the ground; by means of a cable, they transmit their information electrically to recorders situated on the ground floor of the neighboring Central Office. All observations are recorded hour by hour: for wind in speed and direction, for temperature, for atmospheric pressure, for humidity, etc. They are entered in the registers of the Bureau and their summaries appear in the daily bulletin. These observations are centralized by Mr Alfred Angot, Doctor of Science, Central Meteorologist, who analyzed the results in comparison with the observations made in the Central Office; they are the subject of learned memoirs inserted in the Annals of the Bureau. All those interested in these questions should consult them; they contain all the detailed documents and their scientific discussion. A first Memoir concerns the results of 1889; five others, those of the years 1890, 1891, 1892, 1893 and 1894. Finally, a General Memorandum summarizes the observations of these five years, except those relating to the wind, which are the subject of a Special Report up to 1895 . 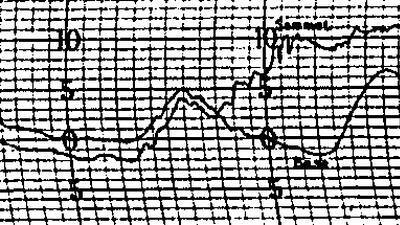 The two links below lead to a complete description of the observations made by the weather station of the Eiffel Tower during the period 1889-1890, then 1890-1894, necessarily more complete. They relate to many specific areas: Temperature readings, soil / altitude comparison, humidity, wind strength and orientation, including climbing winds, atmospheric pressures, etc. The conclusions are particularly interesting because it shows the enthusiasm that they have produced on data that today seem terribly banal. Gustave Eiffel is an entrepreneur, but above all an engineer, he is passionate about the technique and more particularly a universe to which his name is not attached, aviation. Yet, interested in the subject, he tries to understand the mechanics of fluids and concocts a real aerodynamic laboratory on the 2nd floor of the tower. 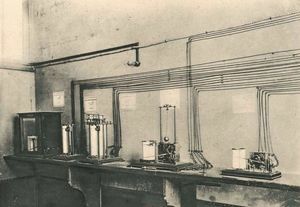 This laboratory was equipped with a device to study the fall of bodies, which slid along a 115m cable stretched between the 2nd floor and the ground. It functioned from 1903 for a duration of 2 years. That was called "the falling apparatus". This apparatus allowed the study of the resistance to air of the metallic forms. To do this, the metal plate, of a form he wished to test, was placed along the line. It also varies the size of the plate: from 25cm to 100cm, to know if this had an impact. Thus arranged, the form accelerates steadily up to 40m from the ground where it reaches 144Km / h, the speed of a plane of the time. See the Report on air resistance. At the end of the nineteenth century, when an engineer was building a building, he had to estimate the pressure exerted by the wind on his building, expressed in Kg per square centimeter. Nothing easier for that, a simple formula is made: P = 0.125 x V2, where V is the wind speed in meters per second. The constant 0.125 had been admitted for a very long time, but the engineers who designed the tower had reasons to question this figure. The presence of the tower was a boon for them. They could recalculate this figure, and prove by practical experience, the blocks of reversal, that this figure was closer to reality than 0.125. The actual calculation of the new figure, 0.070, is made in the Resistance of Air section, but this part of the site explains the experiment that was made to prove the truth of the new value. The general principle is simple: At the top of the tower, we have casting blocks of identical shapes and increasing weight. The more the wind blows, the more the blocks are reversed, proving that the pressure on the front face of the block passes a certain value. And it must be said that it is the value 0.070 that is closest to reality. Detail of the experience of Reversing Blocks. A Foucault's pendulum is the name given to a pendulum freed from any disturbance, and which, as a result of this observation, makes it possible to visualize the rotation of the Earth. Indeed, a pendulum that oscillates invariably shifts slowly, generating a rotation that is hardly perceptible but very real. To highlight it, the pendulum must be heavy and its cable must be long, to make large oscillations. The Eiffel Tower was the ideal support, and it is therefore quite naturally that such a pendulum was installed there for a time. For those who wish to know more, they can go to the Pantheon, in Paris, where a pendulum of Foucault oscillates invariably. The interest of the tower is not only its mass, it is especially its size. Now that altitude takes said alteration of the atmospheric pressure. The tower was therefore a good way to easily study the pressure differences between the ground and 300m height. From the beginning of the construction of the Tower, Gustave Eiffel had been concerned with its application to the construction of a large open air and mercury manometer allowing directly to measure pressures of 400 atmospheres. 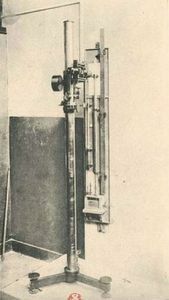 From the scientific point of view, such a manometer should, by its high precision, be valuable for the calibration of nitrogen or hydrogen manometers for laboratory experiments; from the industrial point of view, it had to offer an incontestable utility for the verification of metallic manometers. 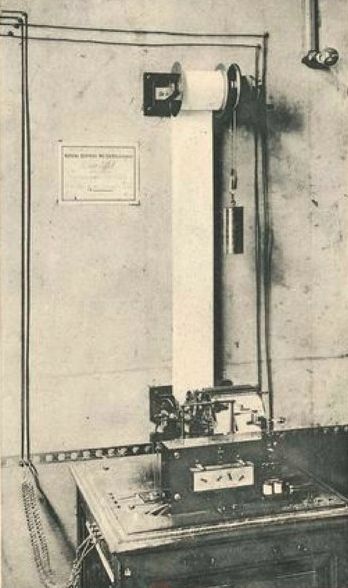 Thus, after the completion of the Tower, Eiffel had this manometer established, according to the plan which had been made by M. Cailletet, a member of the Institute, so well known for his labors on the liquefaction of gases. On the third floor of the tower, nowadays, there is a frame on one of the outer galleries which recalls the installation of this manometer. 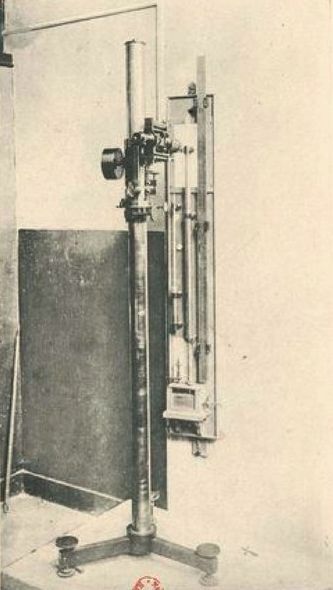 The description of this very particular apparatus was made precisely by Mr. Cailletet at the Académie des Sciences in 1891. It can be consulted below. Detail of the Free air pressure gauge. Less than 10 years after the completion of the construction, the Eiffel Tower had already served as a support for many experiments, and as such it had made a good in the knowledge of humans in many areas. 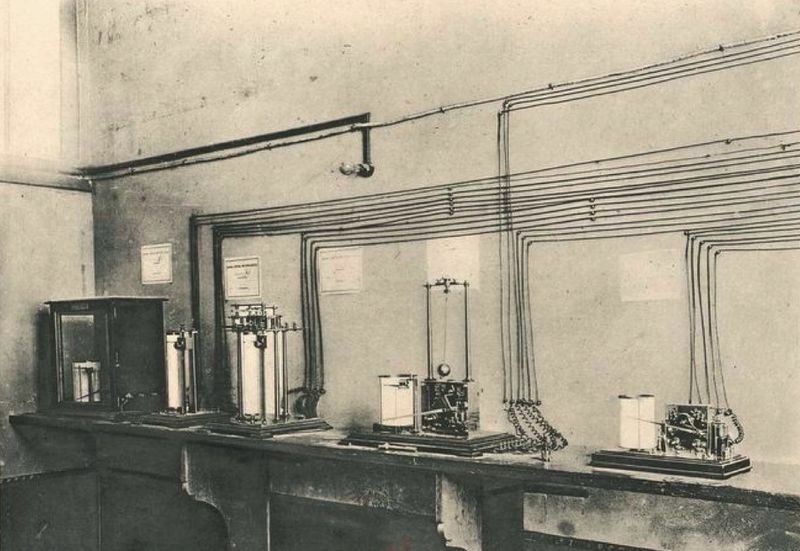 On the 20th of May, 1899, an article on the origin of oxygen lines in the solar spectrum was published in the review "Les Comptes rendus de l'Académie des Sciences". The aim was to decide on this origin, which could be telluric or telluro-solar. Again Gustave Eiffel allowed to make experiments that will bring the answer to this question. Mr J. Janssen did the study, his report is indicated in the page below. Detail of the report on the origin of oxygen lines in the solar spectrum. This experiment, also carried out at the top of the Eiffel Tower, consisted of reading the series of dark lines observable by the spectrum of the electric beams emitted from the top of the tower. Here is in the link below the result of Mr Cornu, who made this analysis in 1889. Detail of the atmospheric absorption of radiation. The first tests of military broadcasting were made as soon as the tower was completed on November 5, 1898. The system worked because a spoken message circulated between Ernest Roger and Eugene Ducretet, who were one at the Eiffel Tower and the other at the Pantheon, 4Kms away. These tests were completed and Gustave Eiffel, seeing this as a good opportunity to make his tower indispensable, offered the possibility to the armies to use it to position military antennas there. You will find in the link below the details of the first experiments made on this subject. Learn more about the Military broadcast from the Eiffel tower. It only began in the 1920s, when the war had passed, that the military use of broadcasting was no longer exclusive. The first tests were made in 1921 with Lucien and Sacha Guitry. 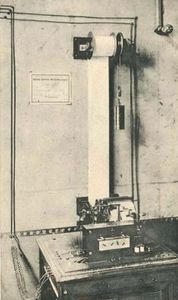 The following year a studio was built in the North Pillar and in 1925 was the first radio journal in history in France, a newspaper of Maurice Privat. The applications were simple, but from 1929 practical messages were broadcast, for example the weather recorded on the 350 meteorological stations of Europe, North Africa and Europe. How did men make the time zones? While the first attempts at cutting the planet into 24 slices remained blurred, accuracy could only be achieved by means of reliable and constant means of communication. 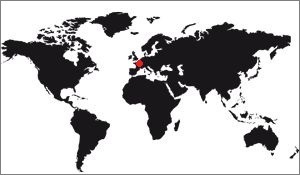 The Eiffel Tower was one of the elements of the global network allowing the establishment of the time zones, and thanks to a communication to more than 5000 Kms! So it was partly thanks to the Eiffel Tower that the world time system could be built. Logical continuity of the broadcasting, the television broadcast allowed the reception of the image remotely. The first attempts were made in 1925, Louis belin realized them. It was not until 1935 (26 April) that the first television program itself was broadcast. From then on everything accelerated. In 1953, a Eurovision program, the coronation of Queen Elizabeth II, was broadcast. An antenna dedicated to television was installed in 1957, which enlarges the tower which went from 300 to 318,70m. 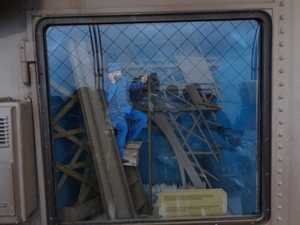 It will be replaced in the year 2000 by another more efficient, and higher also, the tower passing at 324m high. Finally, it was in 2005 that the transition from broadcasting to digital took place. Telephotography is a method of photography of remote objects using a telephoto lens and, by extension, this is what is called the cliché taken by this method. Telegraphic experiments were carried out in 1896 from the terrace of the third platform by the Captain of the Engineers, Mr. V. Bouttieaux, Deputy Chief of Materials of the Engineers at Versailles, who published the most interesting Memoirs on the Balloon photography (Revue de l'Aéronautique, 1894). But there is a difference in size between telephotography in balloon or on the Eiffel Tower: The camera is fixed in the second case, so the photos are supposed to be much better. You have in the link below the account of the experiment made by Mr Bouttieaux on this subject. Optical telegraphy is simply a system for sending messages by long-distance light signals. This technology will be replaced by radio telegraphy, namely that the signals will later pass through the radio waves instead of an optical signal. It was the X-ray that saved the Eiffel Tower, the army seeing a certain interest in it, and for it to have taken place, optical telegraphy had to be tried, also by the army, a few years longer early. You have in the link below the details of the tests of optical telegraphy made from the Eiffel Tower. 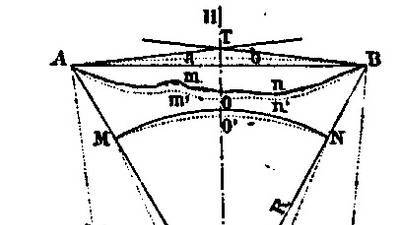 Detail about the Optical telegraphy from the Eiffel tower. It is probably partially forgotten today, but the Eiffel Tower was, at the time of its construction, a fantastic landmark for all aerostats coming or going from Paris. At the time, we talked of dirigibles because aviation is only in its beginnings, it is besides the Eiffel tower that will make it possible to establish some physical laws on the resistance of the materials, laws that will be implemented a few years later in aeronautics precisely. 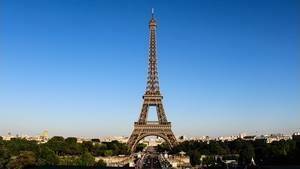 But at the end of the XIXth century, it is as a point of reference that the Eiffel tower is practical. You have in the link below the account of the air navigation experiment that was made on June 30, 1890 aboard a balloon heading east of Paris. Detail about the Air navigation from the Eiffel tower.